Born in 1978, Eleonora Abbagnato began classical dancing at the age of f ve. Then she entered Marika Bresobrasova School at Monte-Carlo. At the age of 11 she was chosen by Roland Petit to dance'Aurore enfant' in his version of The Sleaping Beauty. In 1991 she is a pupil of Rosella Hightower Dance Center in Cannes, and next year she enters l'Opéra de Paris Ballet school. In 1996 Eleonora Abbagnato joins the Ballet of l'Opéra de Paris and dances in many ballets of classical and contemporary repertoire (in?cluding ballets by George Balanchine, Rudolf Noureev, Roland Petit and Pina Bausch). On February 21, 2001 Eleonora Abbagnato becomes «Première Danseuse», her repertoire includes: Bella Figura, Stepping Stones et Doux mensonges (Jiří Kylián), Le Songe d'une nuit d'été, Sylvia et La Dame aux camélias (John Neumeier), Notre-Dame de Paris, L'Arlésienne et Carmen (Roland Petit), The Concert, Afternoon of a faun, The Cage et Other Dances (Jerome Robbins), Le Sacre du printemps et Orphée et Eurydice (Pina Bausch), Le Concours (Maurice Béjart),'Myrtha' in Giselle (based on Jean Coralli and Jules Perrot), Joyaux, Les Quatre tempéraments, Symphonie en ut et Apollon (George Balanchine), Ivan le Terrible (Yuri Grig-orovich), Don Quichotte, Le Lac des cygnes, Cendrillon (Rudolf Noureev) and Le Parc (Angelin Preljocaj). In «Hommage à Claude Bessy» Gala she dances an extract from Pas de Dieux by Gene Kelly (2004). She was the first to dance at l'Opéra de Paris such ballets as: The Vertigi?nous Thrill of Exactitude, Approximate Sonata, Artifact Suite (William For-sythe), Proust ou les intermittences du cœur (Roland Petit). In 1998 she became the finalist of the International Dance competition in Varna. 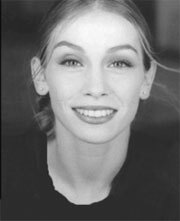 In 1990 she won the First Prise Jeune espoir in Catane, the First Prize Prix Danse Europe, Cercle Carpeaux Prize for the achievements in 1998/99 season. In 2000 she won Positano Prize and Prix du Public, and in 2001 — Gino Tani International Prize. Eléonora Abbagnato regularly dances abroad: in Italy, Japan and Russia.